Gateways’ business model evolved over the course of its lifetime, as it expanded, new systems and procedures were written up and implemented and industry “norms” were adopted for best practice. Quality control and employee training, customer service levels, sales targets, online time, average call of answer, etc. Gateway was growing and becoming a “Blue Chip”, and all the corporate blue sky, out of the box thinking that comes with it began to creep into the fabric of Gateway’s traditional mid-western values. Not all of these growing pains were bad, far from it. You need to break eggs to make an omelet right! Most people agree that a growing company needs some “new blood”, some wise heads to take the company into new and uncharted territory. Gateway was a great place to work. It had a great work ethic that came from mid-western American values and was exported fairly successfully into each of its global facilities. Part of the “induction” at Gateway was to understand the “VVM”, Visions, Values and Mission. They might be corny to some, but they “fitted” the ethos of Gateway because they came right from the top, from the CEO Ted Waitt. Ted Waitt was (and still is) a man full of energy, a person who likes to get things done. He believed in the Values he shared with each Gateway employee and most importantly, he would listen and engage with any of them at any time. You got the sense from him that these weren’t just some random set of high-flying words written down in a ten minute meeting. Gateway was born in the mid west, and it should have stayed there. When the core “strategy” changed and it emerged that the company was to move its control and command centre to sunny San Diego (California), it rattled the entire company and was akin to Texas Instruments moving to Alaska. Not only did it mean senior management was moving from home to new digs and leaving the family behind, but it went further and changed the psyche of the company both internally and externally. Ted had been vacationing in California for years (you can’t begrudge that), but it wasn’t just the heat and white sandy beaches that convinced Ted that a move from Sioux City was the right thing to do. Outside influences had been trying to convince Ted that to in order to “expand” the business he would have to move to a real Tech capital. Ted and “some others” had been working on a plan to push revenues up, the “5 year plan” that would radically change the company and most of its core philosophies. So what happened? Most insiders believe it was a series of slick boardroom presentations that seemed to make sense only to those inside the boardroom. The result was a top level plan that would eventually tear the company apart. Country Stores emerged from an EMEA requirement to have a “shop front” for potential customers, showcasing Gateway’s current configurations and new technology. A prestige store in each of the live country markets, ideally located in the capital city, they were not a commercial concern. This original store concept proved very successful, but it would soon be expanded under the Country Store brand and that meant Gateway was going retail. Ted had hired Weitzen and Robino from AT&T, and in his words “We needed to get a better blend of people than we have here, with people who have more experience”. 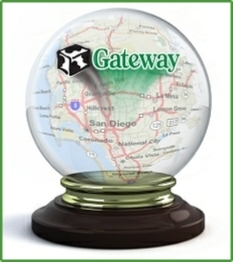 The San Diego move was influenced by the new hires, it underpinned the future expansion of Gateway and so it was agreed to move HQ. Only a handful of “old Gateway” stock took flight to California, many wouldn’t and couldn’t leave the safe haven of South Dakota. The company was soon being driven in a new direction, and for most inside the company, it seemed like the wheels were slowly coming off. On the ground, the acceleration of the Country Store strategy was widely seen as a risk and at odds with the current model. This was an acute change of direction to the cornerstone build-to-order model that Gateway was famous for. The plan for retail operations and the associated costs of staffing, logistics and additional marketing seemed an unwise and expensive venture. Added to this were new initiatives including “moving beyond the box”. * - The views expressed here are personal and do not express official Gateway/Acer policy. All views precede the ownership of Gateway by Acer Inc. Welcome to the barn, a place where we can reminisce, ponder and argue about the good and bad and the right and the wrong of the company we worked at, worked with, purchased from or just admired from afar. Your welcome to contribute small articles about your experiences with the company. At the surface, Gateway was humming along nicely heading into the new century, the company had sold a record 4.6 million PC’s in 1999; but by 2003 the numbers were down over 50% to 2.1 million PC’s. So what happened? It would be a nice and simple explanation to write that a perfect storm conspired to bring about the eventual downfall of Gateway, but it wasn’t. It was mostly made by itself. Sioux City 1997, the new “5 year plan” was out of incubation, The plan was simple, expand and prosper. 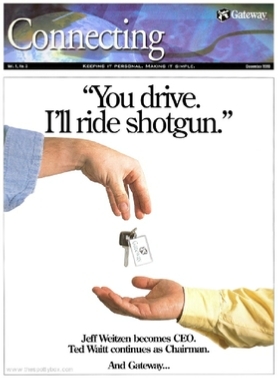 It was later enhanced by Waitt and Weitzen in 1998, when they announced they wanted to hit sales of $25 Billion by 2001. Sounds great! The new hire, Jeffery Weitzen, was the MBA hot shot that would push that plan, would take care of the business and become Ted’s right-hand man. I’m sure the guy had made all the right noises at his interview panel, but ultimately this was Ted’s hire. Ted now had the time to get away from all this PC stuff, and do something else for a while. What could go wrong, he had hired the right man for the job. 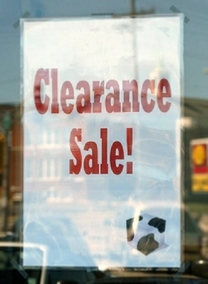 Initial signs were promising, and sales increased by 37% in 1999. The “old” Gateway crew were sceptical, and dissenting opinions were removed from the debate. Yes, changes were happening in the halls of power, and it seems the Board accepted these without too much of a fight. When I say “Gateway” decided to do X or Y, I obviously mean the senior management team, the rest of the “team” just carry out the orders. I debated wether to hold Ted or Rick (Snyder) to account with what happened between January 1998 and January 2001, but it’s not like they had left the planet Earth during these dates, so, even though I personally like these guys, they hold a substantial portion of the blame for the wheels coming off, so to speak. 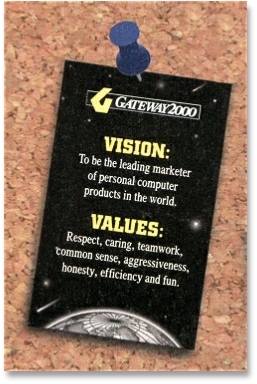 The first fly in the ointment for Gateway was when the global PC market began to sink during the latter part of 2000. With Windows ME and 2000 not gaining much traction (XP replaced it quickly in 2001 due to it’s many incompatibilities), the consumer market for PC’s began to taper out, the market was hitting maturity. Weitzen had put nearly all his black and white eggs in the consumer basket. Gateway had also failed to see any of this coming, even though the signs were there, it looks like it was blinkered to them. Analysts had flagged such an event, industry suppliers were discussing such an event, and smaller competitors were closing their doors. But Gateway had ploughed on with their retail expansion, pushing ahead building new bricks and mortar operations, spending capital reserves and shunning the old fashioned build-to-order model. The problem with retail is you have to have stock in play, so the customer can walk out the door with their new shiny box. When things get slow in retail, especially with something ever changing like a PC, you end up with a storeroom full of stock, and in Gateway’s case, obsolete boxes you can’t move. Your only next step is to reduce the prices quickly, and take the hit on the balance sheet. 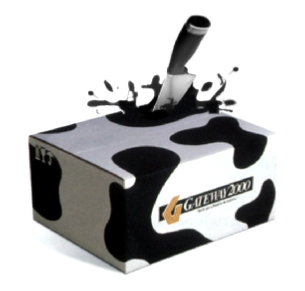 With over 60% of Gateway’s business in the consumer segment, Weitzen decided in January 2000 to invest $50 Million in a deal with OfficeMax, a retail based office supplies company, and open up to 1,000 new concession stores inside OfficeMax premises. By January 2002, that gig was up, and HP announced they would become the exclusive computer supplier in OfficeMax (with smaller order kiosks) as Gateway terminated their deal as early as June 2001. The build-to-order model doesn’t look so bad anymore Jeffery. Weitzen had done little to enhance the business offering during his time at the helm, citing a deal with Sun Microsystems to become it’s preferred PC site supplier in 2000, Sun would soon be hit by the effects of the Dot-Com bubble and run into financial troubles of it’s own. Gateway needed the business segment, but it had wasted time and money on it’s gung-ho consumer strategy - if it had built on it’s acquisition of ALR years earlier and invested capital expenditure during these years, it may have weathered the consumer slowdown and the oncoming 2001 recessionary tides. It’s clear the retail adventure was a disaster. Why Ted and company never saw this coming I still don’t know. I always thought a few choice “show rooms” around the world in key cities would have been more than adequate, and they always attracted great attention in Europe and Asia, but amassing a retail empire was not only a step too far, it was against all that Gateway was built upon. In early 2004, the remaining 188 company operated Country Stores closed with the loss of over 2,500 employees. Weitzen seemed convinced that Gateway needed California, although, Michael Dell never got the urge to move his HQ there. Ted already liked LA, it seems he was talked around to moving his HQ there, and Weitzen was a west-coast guy, he wasn’t going to stay shacked up in South Dakota for god’s sake. But if you had lived there and worked there, you would know why Gateway had thrived, and survived, all those years before it seemed necessary inject some west coast blood into the company. 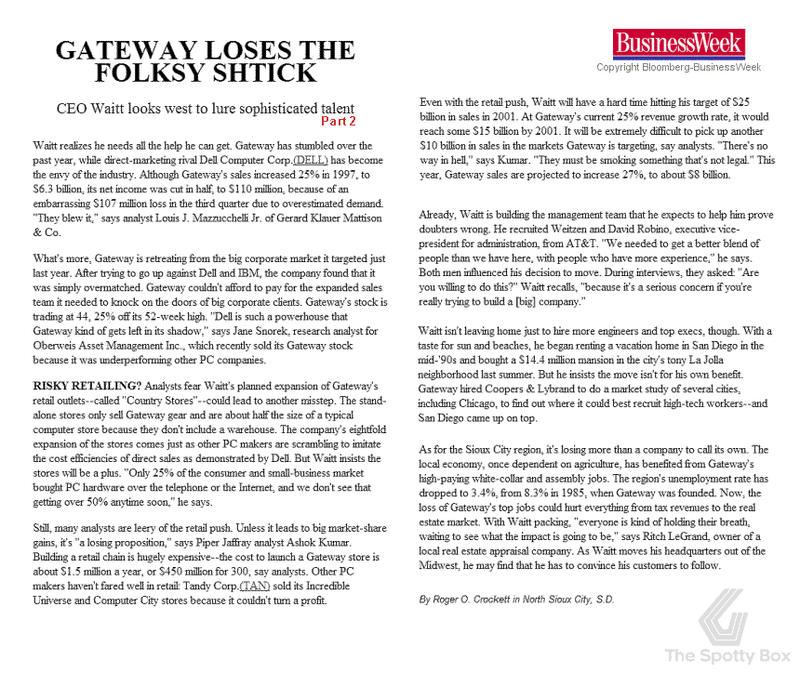 Senior management were miles away from what had made Gateway unique (1,690.3 miles to be precise). The mid-western values employees were so often reminded of, just like the Holsteins, were put out to pasture, and yes, it definitely effected the DNA of the company. Eventually, Weitzen is fired (and has to speak to the US Securities and Exchange commission for cooking the books, along with John Todd, the former chief financial officer, and Robert Manza, Gateway's former controller) and walks away with over $5 Million severance, nice. Ted comes back (to the relief of loyal staff) and says he loves the company too much and will turn it’s fortunes around. Weitzen era rules are thrown to the curb, customers are treated like people again and old values are reinstated. Ted starts by retreating from markets in Asia and Europe, some of which had been performing well, and 5,000 employees are sacrificed as the strategy to pull back was engaged. Gateway would never recover fully, and it’s empire would be lost forever. The reverse merger with e-Machines in 2003 was seen as positive initially, but it soon became clear that the new CEO wasn’t going to make Gateway great again. 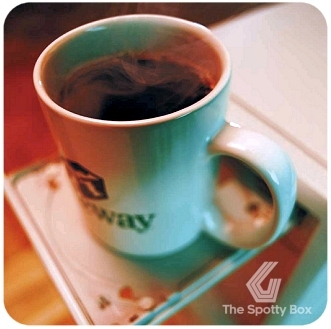 The consumer products weren’t setting the market on fire, the cheap Plasma TV’s were initially welcomed and Gateway became a leading supplier in the US market, but the short term profits and competition led Wayne Inouye (CEO) to pull the line in 2004. Ted gave up, and resigned in 2005. Wayne gave up in 2006. Rick Snyder assumed the helm as Interim CEO until J. Edward Coleman was hired in 2006, and did nothing spectacular with the company until it was sold to Acer in 2007. 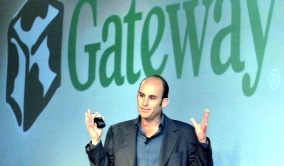 While Gateway tried hard to reinvent itself, even going as far in it’s last dying days to reopen a build to order facility in Nashville Tennessee in 2006 (actually, it was part of the Quanta Corporation, which Gateway were outsourcing to build their desktop PC’s), nothing could stop the inevitable, and Acer saw an opportunity to purchase the company. Could Gateway have survived any other way? That answer to that question is a little above my pay grade, but the company had assets that no other company had. It possessed a unique identity, a loyal and appealing brand, one that could have flourished in the market if it had not been so often eroded and hacked by outside influences, it certainly had a core group of people who believed in the vision and values of the original company, some of whom left or were pushed out during Ted’s sabbatical. The company should have believed in itself more and not led into some authoritarian and old fashioned MBA strategy. Perhaps Gateway just got too greedy? From a product point of view, it could have gone in many directions, but it relied heavily on a dying product strategy, a product mix which it didn’t wholly own. It need a reason for consumers to need it, something Apple would soon learn to nurture. So who killed Gateway? A mixture of bad economic timing, bad planning, bold and aggressive leadership, lack of leadership, poor senior management (many of whom had only heard of South Dakota), lack of respect and ultimately, and I hate to say it, Ted Waitt. My heart wants to say otherwise, but doesn’t the buck stop somewhere up there, even if every little decision wasn’t technically his, Ted’s vision for his company should have been left on the walls of the executive offices in his absence, right? 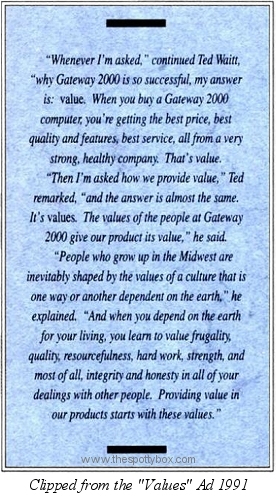 Of course Ted didn’t want Gateway to fail and I believe he always had the best intentions for his company at heart, but hindsight in a wonderful thing. He definitely tried his damndest to turn the company back from the Weinstein abyss, but that boat had sailed, and the market was a different beast when he came back to it. Let’s not be naïve about it, blame has to lay with senior management, the very people who had been appointed by Ted and the Board of Directors. Add to that many of the highly paid, seemingly clever management that were brought in or remained (dissenting voices aside), they all killed Gateway, and Ted ultimately let it happen. Why did Gateway purchase Amiga? 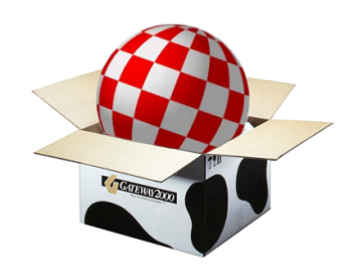 “What’s an Amiga?” That was the cry from the PR department who eventually made their way to my desk, having been pointed in my direction. I was told that Gateway had purchased the Amiga properties from Commodores liquidators for approximately $14 Million, and the phone hadn’t stopped ringing from Journalists across the European continent about the deal. The US offices hadn’t put out any official press release and the news had broken in Europe, I can’t remember the source of the original story. Knowing I was a little on the nerdy side I was able to shed a little light on events, I explained that the Amiga was a range of computers from the once mighty Commodore Business Machines Corporation (then I had to explain who they were), and that if the story was true, it meant Gateway had bought some interesting technologies. The real question was what Gateway intended to do with the purchase, but I got my answer a couple of weeks later. One of Gateway’s fast talking senior guys from North Sioux City arrived in Dublin, I can’t recollect his name, but he was involved in high level purchasing and deal making of some description (probably had a better title on his business card), he was with a bunch of other senior guys from the US who had flown in to Dublin for a reason I wasn’t privy too. Anyway, I was interested in knowing more about the acquisition, and this guy was actually involved in the deal. We got talking and he was telling me that a bunch of properties contained in the purchase would enable them to save money on various royalties Gateway paid annually for tech they used, the main one he mentioned was a royalty to Compaq for something on the motherboards we used and something about the mouse, but that's about as much as I can remember. He added that after their tech guys had looked further into what they had bought, that there was still some commercial value to Amiga, and Ted had been convinced to put a small team together under Jeff Schindler (he had headed up the Destination team previously) and if feasible, possibly resurrect the actual technology. There was an avalanche of correspondence about the Amiga purchase, it was clear to Gateway there was still a market for the platform, albeit a niche one. It definitely took many at Gateway by surprise how much interest there actually still was for the Amiga at this time. 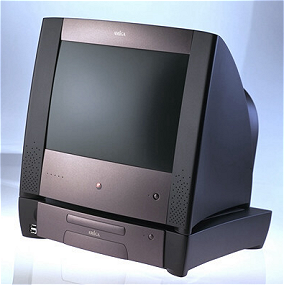 Gateway had, possibly, found a platform with which they could launch a new Internet based machine from (the trend banded about at the time was called a “net-pc” or home appliance), and with it’s own in-house platform and OS, they would save money by using their own technology, and if it was successful, they could licence the platform out to other manufacturers. So, that was the gist of it, I had learned that one of my Senior Managers brothers was going to head up this “Amiga group” at some point, his name was Jim Collas. I was hoping to get on board if the project expanded to Europe, but it was doomed to fail; too much time had passed before anything was actually achieved and rumours of in-fighting about the direction of the project were going public (I heard Jeff Weitzen was the man who killed it off in the end). One side note, apparently Gateway had been “looking” around for other opportunities and had also briefly looked at buying Atari, which had also been up for sale in 1996. I learned that they (JTS/Atari) were taking in about $1 Million a year on existing royalties, but the technology Gateway were looking for wasn’t present and I was told “they (Gateway) wouldn’t have had a clue what to do with it (Atari)” if they had bought it! So, if that’s worth anything to anybody, there it is. I think it was a missed opportunity for Gateway, if they had been smart (re-hired some of the original engineering team perhaps) reacted quicker in 1997, doing something as simple as restarting production of a enhanced A1200 board (68030 CPU, more memory, CD-ROM etc) in a simple new case configuration (something Gateway could have done cheaply) it may have got the ball rolling both financially and by garnering support of the obvious loyal base of users the platform still enjoyed. What could have come from that is anyone’s guess now. But by 1999, the Amiga technology had passed it’s sell by date and I think the group they put together were too ambitious and had grander designs which they failed to deliver on. That mock-up of the proposed Gateway Amiga desktop by the way, I found it (or a version of it) in the Dublin marketing offices where we kept product samples, poor thing was in bad shape, pity I didn’t rescue it! There is more accurate information dotted around the web on this if you do a search, but If you can add to my hazy memory of these events, please contact the SpottyBox.